Here’a a musical from CEC 2016 batch. 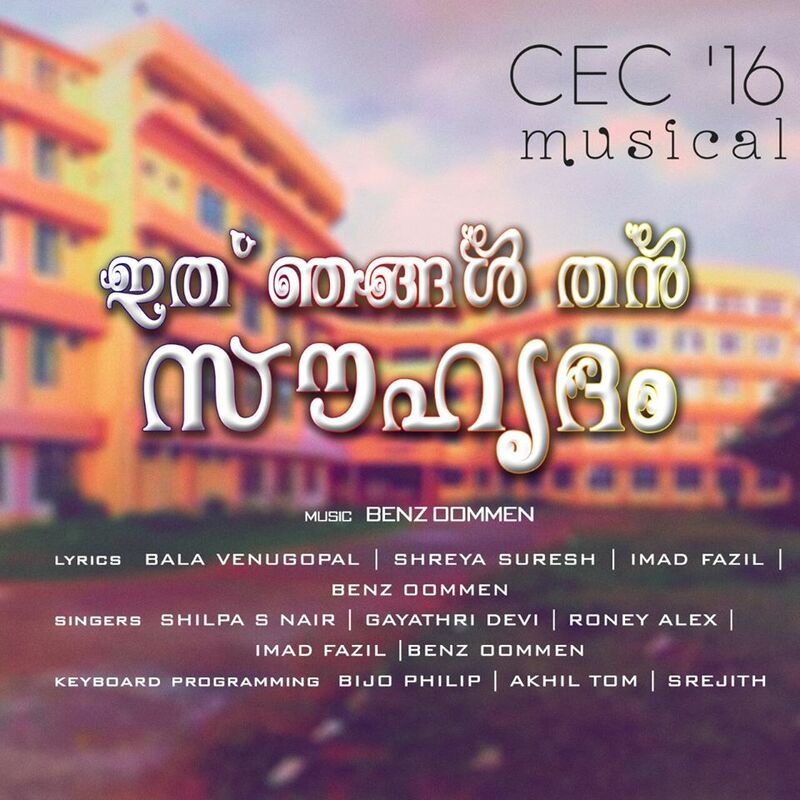 This entry was posted in 2016 Batch, Video/Audio/Photos of CEC, WORKS OF CECians and tagged 2016, Akhil Tom, Album Musical, Bala Venugopal, Benz Oommen, Bijo Philip, CEC, CEC 16 Batch, CEC 2016, CEC 2016 Batch, CEC 2016 Batch Album, CEC 2016 Batch Song, CEC Batch, Gayathri Devi, Imad Fazil, Rony Alex, Shilpa S Nair, Shreya Suresh, Song, Sreejith. Bookmark the permalink.